** LOCAL TRADE LOW MILES EX ALLOY WHEELS** 2004 Honda Odyssey EX Starlight Silver Metallic Proudly Serving: Shelby. Gastonia, Charlotte, Asheville, Hickory, Stateville, Mathews, Rock Hill, Spartanburg, Lincolnton, and all of greater North Carolina and South Carolina. All prices are plus tax, tags and $699 Dealer Admin Fee. With Approved Credit. Not all buyers will qualify. Dealer is not responsible for any errors stated on this vehicle's condition and/or price. ** LOCAL TRADE EX PKG CLOTH SUNROOF ALLOY WHEELS ** 2010 Honda Accord EX Cloth. 21/31 City/Highway MPG Proudly Serving: Shelby. Gastonia, Charlotte, Asheville, Hickory, Stateville, Mathews, Rock Hill, Spartanburg, Lincolnton, and all of greater North Carolina and South Carolina. All prices are plus tax, tags and $699 Dealer Admin Fee. With Approved Credit. Not all buyers will qualify. Dealer is not responsible for any errors stated on this vehicle's condition and/or price. 2011 Honda Element EX Polished Metal Metallic AWD. CARFAX One-Owner. Awards: * JD Power Initial Quality Study * 2011 IIHS Top Safety Pick * 2011 KBB.com Brand Image Awards 2016 Kelley Blue Book Brand Image Awards are based on the Brand Watch(tm) study from Kelley Blue Book Market Intelligence. Award calculated among non-luxury shoppers. For more information, visit www.kbb.com. Kelley Blue Book is a registered trademark of Kelley Blue Book Co., Inc. Proudly Serving: Shelby. Gastonia, Charlotte, Asheville, Hickory, Stateville, Mathews, Rock Hill, Spartanburg, Lincolnton, and all of greater North Carolina and South Carolina. All prices are plus tax, tags and $699 Dealer Admin Fee. With Approved Credit. Not all buyers will qualify. Dealer is not responsible for any errors stated on this vehicle's condition and/or price. ** 1 OWNER LX PKG CLOTH** 2016 Honda Fit LX Black 33/41 City/Highway MPG Awards: * JD Power Vehicle Dependability Study * ALG Residual Value Awards * 2016 KBB.com Best Resale Value Awards Subcompact Car * 2016 KBB.com Brand Image Awards 2016 Kelley Blue Book Brand Image Awards are based on the Brand Watch(tm) study from Kelley Blue Book Market Intelligence. Award calculated among non-luxury shoppers. For more information, visit www.kbb.com. Kelley Blue Book is a registered trademark of Kelley Blue Book Co., Inc. Proudly Serving: Shelby. Gastonia, Charlotte, Asheville, Hickory, Stateville, Mathews, Rock Hill, Spartanburg, Lincolnton, and all of greater North Carolina and South Carolina. All prices are plus tax, tags and $699 Dealer Admin Fee. With Approved Credit. Not all buyers will qualify. Dealer is not responsible for any errors stated on this vehicle's condition and/or price. ** 1 OWNER AWD SE PKG ALLOY WHEELS LOW MILES** 2016 Honda CR-V SE Kona Coffee Metallic AWD. 25/31 City/Highway MPG Awards: * ALG Residual Value Awards * 2016 IIHS Top Safety Pick+ (With Touring Model) * 2016 KBB.com Brand Image Awards 2016 Kelley Blue Book Brand Image Awards are based on the Brand Watch(tm) study from Kelley Blue Book Market Intelligence. Award calculated among non-luxury shoppers. For more information, visit www.kbb.com. Kelley Blue Book is a registered trademark of Kelley Blue Book Co., Inc. Proudly Serving: Shelby. Gastonia, Charlotte, Asheville, Hickory, Stateville, Mathews, Rock Hill, Spartanburg, Lincolnton, and all of greater North Carolina and South Carolina. All prices are plus tax, tags and $699 Dealer Admin Fee. With Approved Credit. Not all buyers will qualify. Dealer is not responsible for any errors stated on this vehicle's condition and/or price. ** 1 OWNER SPORT PKG LEATHER HEATED SEATS BACK-UP CAMERA ALLOY WHEELS LIKE NEW** 2017 Honda Accord Sport White Cloth. 26/34 City/Highway MPG Awards: * 2017 IIHS Top Safety Pick+ (When equipped with Honda Sensing and specific headlights) * ALG Residual Value Awards * 2017 KBB.com 10 Most Awarded Brands * 2017 KBB.com Brand Image Awards 2016 Kelley Blue Book Brand Image Awards are based on the Brand Watch(tm) study from Kelley Blue Book Market Intelligence. Award calculated among non-luxury shoppers. For more information, visit www.kbb.com. Kelley Blue Book is a registered trademark of Kelley Blue Book Co., Inc. Proudly Serving: Shelby. Gastonia, Charlotte, Asheville, Hickory, Stateville, Mathews, Rock Hill, Spartanburg, Lincolnton, and all of greater North Carolina and South Carolina. All prices are plus tax, tags and $699 Dealer Admin Fee. With Approved Credit. Not all buyers will qualify. Dealer is not responsible for any errors stated on this vehicle's condition and/or price. ** Honda CERTIFIED 1 OWNER LOCAL TRADE EX PKG CLOTH POWER DRIVERS SEAT ALLOY WHEELS** 2016 Honda Pilot EX Sapphire 19/27 City/Highway MPG Awards: * 2016 KBB.com Best Buy Awards Winner Mid-Size SUV/Crossover * 2016 KBB.com 16 Best Family Cars Three-Row Crossover/SUV * 2016 KBB.com Brand Image Awards 2016 Kelley Blue Book Brand Image Awards are based on the Brand Watch(tm) study from Kelley Blue Book Market Intelligence. Award calculated among non-luxury shoppers. For more information, visit www.kbb.com. Kelley Blue Book is a registered trademark of Kelley Blue Book Co., Inc. Proudly Serving: Shelby. Gastonia, Charlotte, Asheville, Hickory, Stateville, Mathews, Rock Hill, Spartanburg, Lincolnton, and all of greater North Carolina and South Carolina. All prices are plus tax, tags and $699 Dealer Admin Fee. With Approved Credit. Not all buyers will qualify. Dealer is not responsible for any errors stated on this vehicle's condition and/or price. ** LOCAL TRADE EX-L PKG LEATHER POWER DOORS HEATED SEATS SUNROOF ALLOY WHEELS** 2016 Honda Odyssey EX-L 19/28 City/Highway MPG Awards: * 2016 KBB.com 16 Best Family Cars Minivan * 2016 KBB.com Best Buy Awards Winner Minivan * 2016 KBB.com Brand Image Awards 2016 Kelley Blue Book Brand Image Awards are based on the Brand Watch(tm) study from Kelley Blue Book Market Intelligence. Award calculated among non-luxury shoppers. For more information, visit www.kbb.com. Kelley Blue Book is a registered trademark of Kelley Blue Book Co., Inc. Proudly Serving: Shelby. Gastonia, Charlotte, Asheville, Hickory, Stateville, Mathews, Rock Hill, Spartanburg, Lincolnton, and all of greater North Carolina and South Carolina. All prices are plus tax, tags and $699 Dealer Admin Fee. With Approved Credit. Not all buyers will qualify. Dealer is not responsible for any errors stated on this vehicle's condition and/or price. **Honda CERTIFIED 1 OWNER LOCAL TRADE EX-L LEATHER SUNROOF HEATED SEATS 3RD ROW SEATING ALLOY WHEELS** 2016 Honda Odyssey EX-L 19/28 City/Highway MPG Awards: * 2016 KBB.com Best Buy Awards Winner Minivan * 2016 KBB.com 16 Best Family Cars Minivan * 2016 KBB.com Brand Image Awards 2016 Kelley Blue Book Brand Image Awards are based on the Brand Watch(tm) study from Kelley Blue Book Market Intelligence. Award calculated among non-luxury shoppers. For more information, visit www.kbb.com. Kelley Blue Book is a registered trademark of Kelley Blue Book Co., Inc. Proudly Serving: Shelby. Gastonia, Charlotte, Asheville, Hickory, Stateville, Mathews, Rock Hill, Spartanburg, Lincolnton, and all of greater North Carolina and South Carolina. All prices are plus tax, tags and $699 Dealer Admin Fee. With Approved Credit. Not all buyers will qualify. Dealer is not responsible for any errors stated on this vehicle's condition and/or price. ** 1 OWNER LOW MILES EX-L PKG LEATHER NAVIGATION REAR ENTERTAINMENT ALLOY WHEELS EXTRA NICE** 2019 Honda Odyssey EX-L 19/28 City/Highway MPG Proudly Serving: Shelby. Gastonia, Charlotte, Asheville, Hickory, Stateville, Mathews, Rock Hill, Spartanburg, Lincolnton, and all of greater North Carolina and South Carolina. All prices are plus tax, tags and $699 Dealer Admin Fee. With Approved Credit. Not all buyers will qualify. Dealer is not responsible for any errors stated on this vehicle's condition and/or price. New vehicle pricing includes all offers and incentives. Tax, Title and Tags not included in vehicle prices shown and must be paid by the purchaser. While great effort is made to ensure the accuracy of the information on this site, errors do occur so please verify information with a customer service rep. This is easily done by calling us at 704-288-4757 or by visiting us at the dealership. 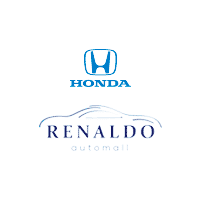 Must finance with Renaldo Automall. See dealer for details.